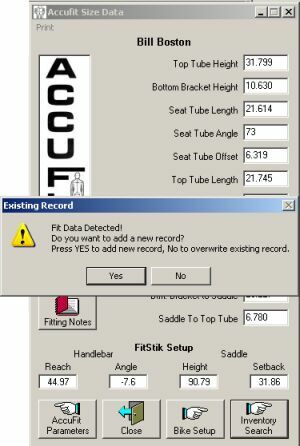 When you select Inventory search from the Accufit Size Data form, Accufit will check to see if fit data exists for this customer. If there is existing data, the warning below will be displayed. You can either add a new fit record or overwrite the existing data.